Take The Weekly Top 40 Challenge! Each week on the Rick Dees Weekly Top 40 Countdown, we play an audio clip from a song or a movie and ask you to identify it on the Countdown Challenge! A winner is selected randomly each week from all correct entries. Think you’ve got what it takes? Let’s find out! This is Rick Dees and let me offer something new to you. 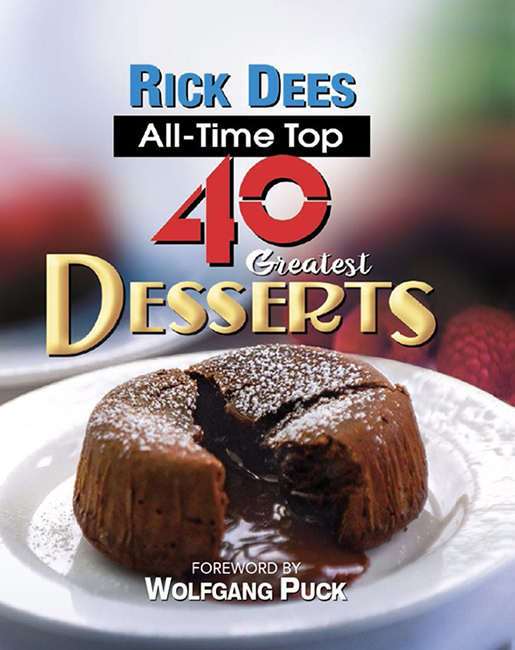 How about a $100 Starbuck’s Gift Card plus our new book “Rick Dees All-Time Top 40 Greatest Desserts”? It’s actually getting rave reviews! I’d like to send you an autographed copy. All proceeds go to the Salvation Army. So these are yours on the Countdown Challenge if you answer this question correctly!